Whenever I see the terms “time-lapse” or “stop-motion” in an app’s description, it usually cues a lengthy, frustrating experience due to the fact that such apps never seem to fail to disappoint. Like face recognition technology, it always seems like a good idea, but, in reality, doesn’t really reach the heights. 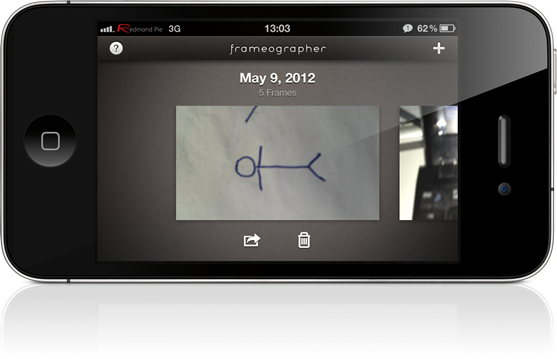 You can imagine my surprise, then, when I stumbled across Frameographer for iPhone, which dispelled all my reservations about such apps within a couple of minutes of use. 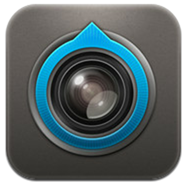 Hitherto, it’s seemed as though developers have found it impossible to keep the conceptually simple format easy-to-use with the finish product, but Frameographer is a well-polished, fully functional app and if you’re into creating time-lapse flicks, this is your perfect partner. 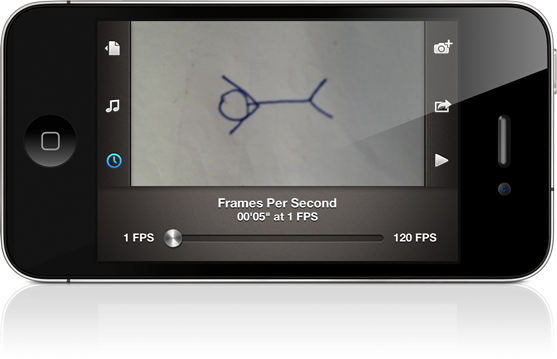 The app itself has a nice user interface, and allows you to set timer delays if you’re shooting something which requires tending to. The amount of frames you decide to shoot is entirely your own choice, and the speed can be altered to between 1 and 120 FPS, although the latter will require some serious patience and dedication. The clincher for me, is the ability to add music to the piece. This is in no way simply an elaborate .gif maker, and you can easily add your own accompanying music from your library. If I’m being picky, it would be nice if music could be cross-faded or chopped about a little bit, but as I say, the feature is already marvelous and unexpected. 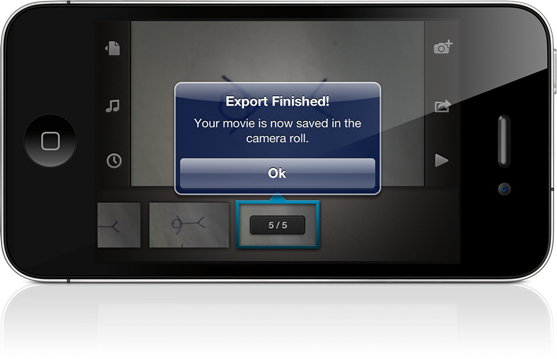 You can export the finished article as a movie to your Camera Roll, and it will play just like any video you’ve recorded using the Camera app, music et al. It took a bit of time for me to perfect my very first stop-motion short, with waving arms to the tune of The Beatles, but it was certainly entertaining to watch, and almost felt like an achievement. It’s $2.99 over at the App Store, and I strongly recommend you buy it. It’s a fun and creative time-killer, and although it is a little bit intricate, it’s in no way as frustrating as trying to get three stars on every level of Angry Birds.